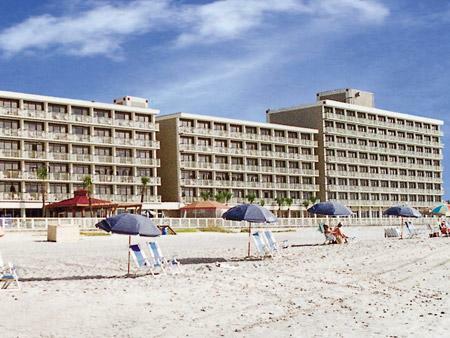 Located oceanfront in the heart of Myrtle Beach you will enjoy one of the most outstanding stretches of beach on the Grand Strand. Enjoy fantastic recreational amenities including a large oceanfront pool and pool bar. New outdoor lazy river and kids water playground is now open. Start your morning with a delicious breakfast, cooked to order, and enjoy a full menu of appetizers, entrees and desserts at out Banana Bay Restaurant located in main lobby.